A single model might go away, but its influence will be seen across Apple's iPhone lineup. When KGI Securities' Ming-Chi Kuo pens a research note, it's not just his clients who tear into the results -- the tech community does too, because of his almost uncanny track record with Apple predictions. A recent note of his begat a series of unfortunate headlines though. Depending on who you read, the iPhone X could be scrapped or killed or cancelled suddenly, as though Apple -- utterly disheartened by theoretically lackluster sales -- simply decided to call it quits. These headlines feel needlessly sensational, but they speak to a market reality rooted in rationality. Aside from a handful of analyst estimates, we don't know how many iPhone Xs Apple has sold. The company doesn't break out sales by iPhone model, though we'll learn more about iPhone sales overall in its earnings report next week. The general consensus is that the X sales, while not terrible, fell short of expectations. Let's put these sales forecasts aside -- what's done is done. If Apple does discontinue the existing iPhone X (which seems more than possible), it'll have more to do with future sales than past ones. 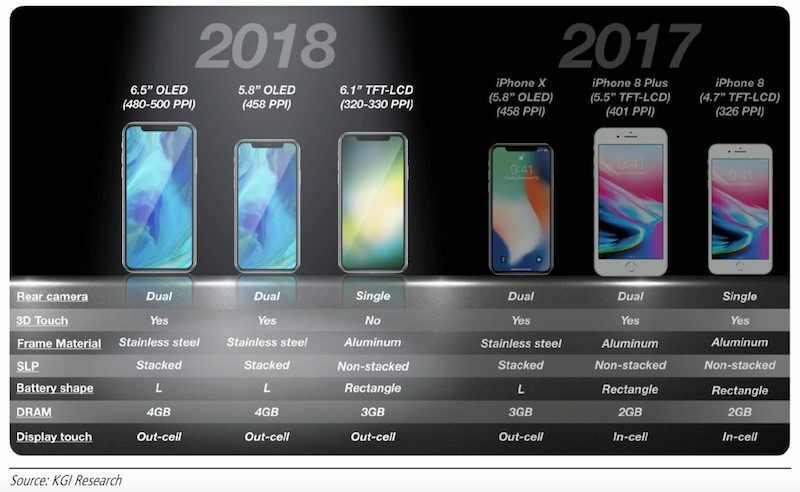 Kuo -- who is often hailed as the Best Apple Analyst, Period -- has been saying for months now that Apple will overhaul its iPhone lineup in 2018 with a trio of iPhone X-like devices, complete with expansive screens and those telltale notches for Face ID. 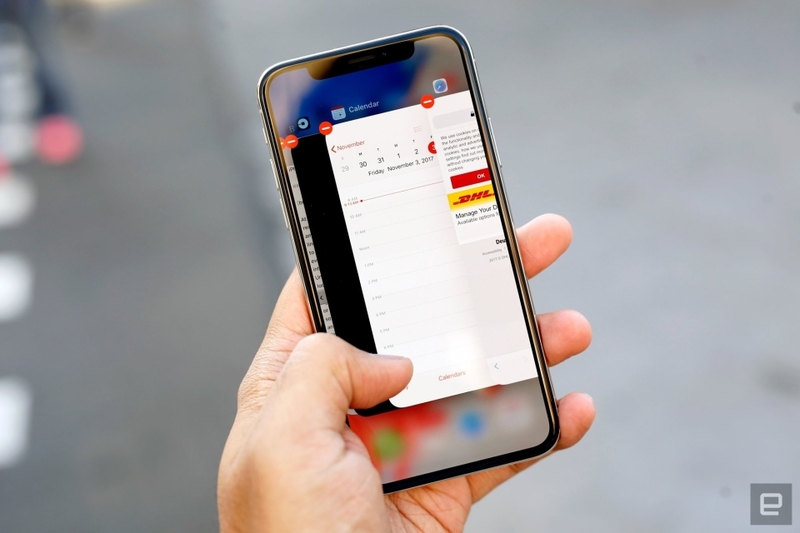 At the high end, Kuo predicts Apple will release a sort of iPhone X Plus, with a 6.5-inch OLED screen and a stainless steel body. The low end should be well tended by a new X-like iPhone with a cheaper 6.1-inch LCD screen, a single camera and (in a bizarre twist) no pressure-sensing 3D Touch display. Meanwhile, right in the middle of the pack sits a 5.8-inch, stainless steel-clad iPhone X sequel. But here's the thing: According to a more recent research note Kuo dropped, that hypothetical low-end iPhone is expected to sell for between $750 and $800 without a contract. Considering that Apple usually keeps selling existing iPhones at reduced prices after new models have launched, it's not hard to see how a discounted iPhone X could eat into sales of Apple's new LCD model. That simply can't happen. Based on what little we know about the the 6.1-inch iPhone, it's a little less ambitious in every way (save for perhaps its size). That logically means it's cheaper to make, and it's no stretch to imagine that Apple would see bigger margins off those things. Given the choice between making some money off each original iPhone X sold and potentially making more money off a cheap, big X sequel, treating the current model like a sacrificial lamb doesn't seem like a huge stretch. And having a big, relatively inexpensive iPhone with an edge-to-edge screen could be a huge help for Apple in China, where the company is facing intense pressure from homegrown rivals that have proved themselves capable of building high-powered smartphones with budget price tags. Oh, and let's not forget that Apple just does this sometimes. When it was time to build a sequel for the iPhone 5, the company built the 5s and replaced the existing iPhone 5 with the plastic-fantastic iPhone 5c. People were going to buy a low-cost iPhone that year anyway, and while no one really loved the 5c, the idea still has merit, assuming the hardware is done well. So yes, the iPhone X will be dead in that you (probably) won't be able to buy last year's model once the sequels arrive. That's the whole point: Regardless of whether it sold as fast or as well as Apple hoped it would, the iPhone X did its job. It showed people what the iPhone could be. Whether Apple's strategy ultimately succeeds remains to be seen, but if it does, putting the first iPhone X to rest is a small price to pay.